Replacing your windows is one of the services Idaho Home Exteriors provides. Idaho Home Exteriors stays up to date on the latest technologies to ensure we can provide you the best of the best. Energy Star windows are extremely popular with people replacing their old windows and for good reason, these products are high quality and money saving. 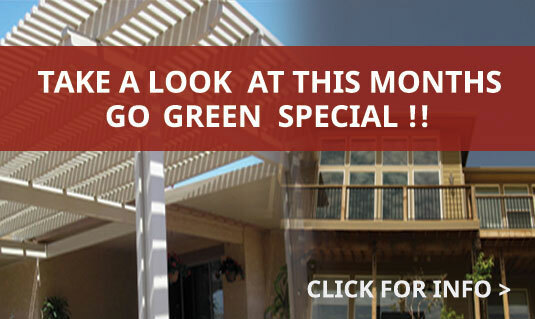 New windows are not all about looks but they are also about saving money. New windows help to keep your home at the ideal temperature by keeping the outside air out and the inside air in. 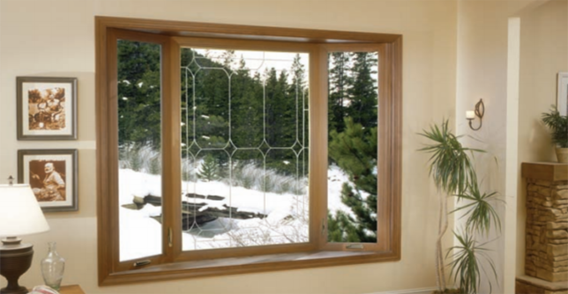 Heating and cooling costs are often reduced with new windows making them ideal for homes in the Treasure Valley. The process begins with an in-home consultation to see what size windows need replacing and what options you have for your windows. Some window replacements require retrofit windows to fit your unique window sizes. The installation is done by professionals to ensure the windows fit nicely, look beautiful and function as intended. Idaho Home Exteriors has a lot of experience in installing windows so you can be confident in your decision to use them. 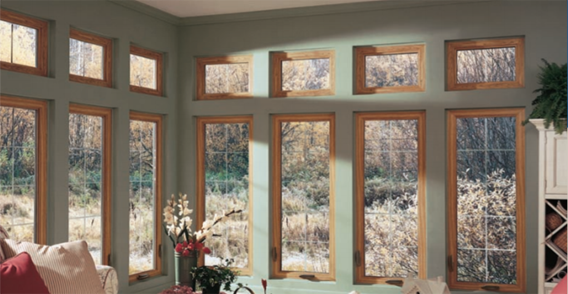 Double hung windows are a beautiful and practical option for many homes. They have two sashes that move up and down to allow ventilation from the bottom, top or both. Many people like the option because the sash opens up and down rather than outward so they don’t intrude on outdoor space. Windows are a beautiful part of your home they often is unappreciated. Sleek window design adds an elegance and sophistication to your home without taking away from other design features. Sleek windows are an effortless and carefree part of your home that is functional as well as beautiful. Thinking outside of the box or square can lead to beautiful unique window shapes that highlight the architecture of your home. There are no limits to the design options with custom unique window shapes. Your windows can be picturesque and dramatic or inviting and quaint. Windows can really set the mood for your home. 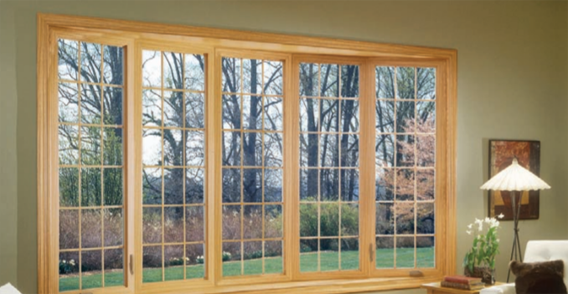 Outward swinging windows or push out windows are an architectural beauty with additional function and use. They add a dramatic and classic look to the window while still providing ventilation and energy efficiency. Many people like these windows because of the ease of opening the push out sash. 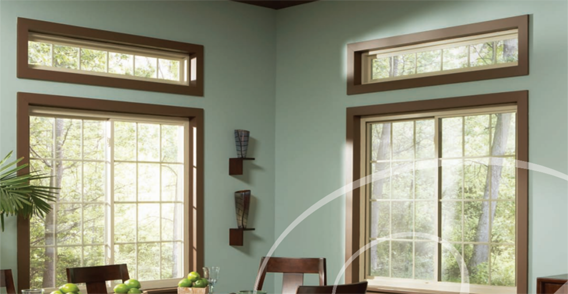 Upward swinging windows come in a variety of styles including casement windows, hopper windows and tilt turn windows. All of these upward swinging windows offers unique features that works well in different circumstances. upward swinging windows are ideal in a situation that doesn’t work well with an outward swing window but the aesthetic is still desired. Extended windows or bay windows are a beautiful addition to any home. The three window design adds light and character to a room and can be a design element of any room. Bay windows come in a variety of colors, designs and wood grains to match any style. 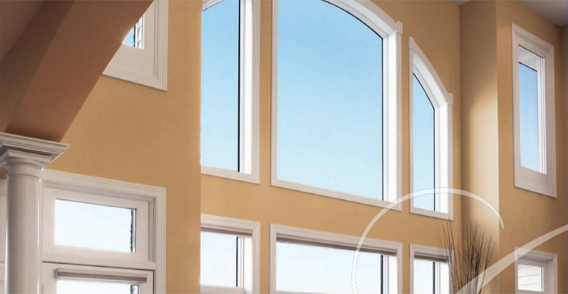 Radial windows add a sweeping curve to a standard window to add design and beauty. 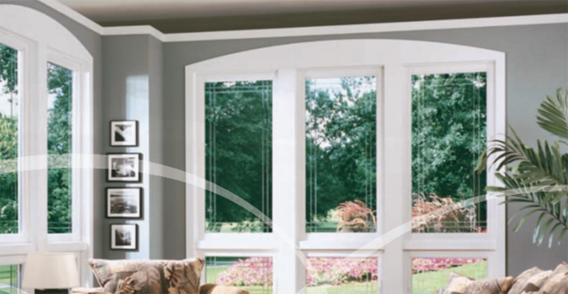 Radial windows are also called bow windows and make the perfect focal point for any room. The different options for painting, staining and wood type allow you to create a custom look to your radial window. Idaho Home Exteriors continually researches these technologies and offers fenestration products that are custom made to meet and exceed the Energy Star requirements nationwide. Our windows will make your home comfortable and save you money. Download the Window Style Guide here. 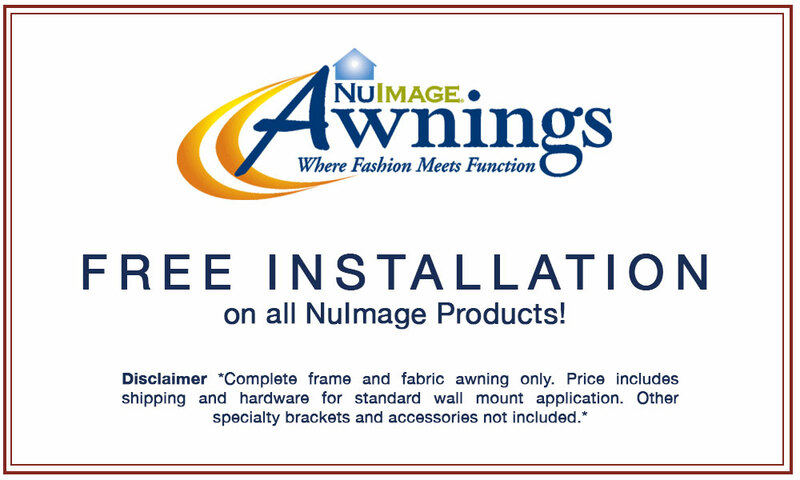 Ask one of our product specialists for more information today!